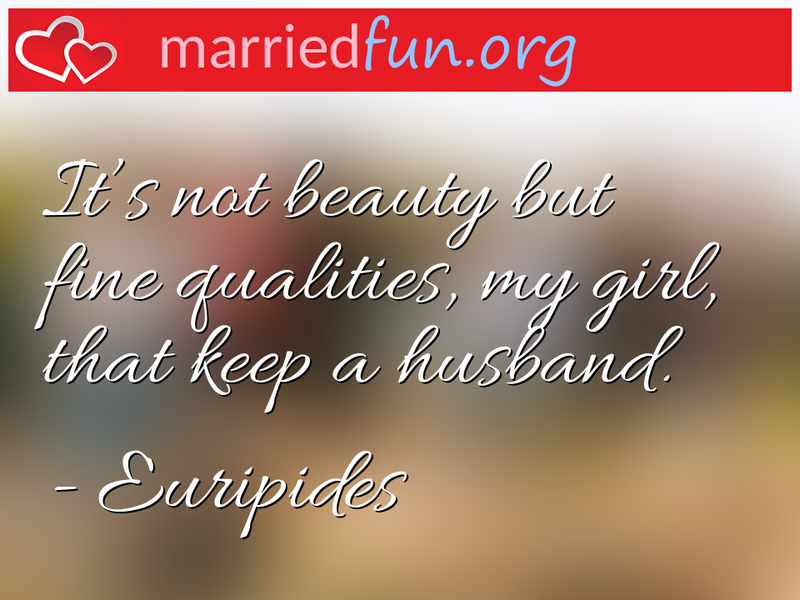 Marriage Quote - It's not beauty but fine qualities, my girl, that keep a ... - Married Fun! It's not beauty but fine qualities, my girl, that keep a husband. If you like this marriage quote, please take a moment to share it on social media.